The Charity Commission for England and Wales is the regulator and registrar of charities and philanthropies in England and Wales. The Commission is a self-governing government department which is answerable to parliament. The Commission is also accountable for the implementation of its quasi-judicial powers to the High Court and First-tier Tribunal (Charity). It is responsible for making a decision with regards to organisations being termed as ‘charitable’ and whether it should be added or removed from the Register of charities. The Commission operates a clear officially authorised framework and works in-line with the published procedures and policies and procedures to make certain that it is impartial in its approach. As of 31 March 2016, there were total of 165,334 charities (in addition to 6,455 subsidiaries) and the Charity Commission regulated £70.93 billion charity income in FY2016. The UK Parliament, through the Charities Act 2011, gives the Charity Commission five statutory objectives. As new charities registrar and regulator, the Charity Commission carries out quasi-judicial functions subsequent to the common law which govern charities. The Commission adopts an exact approach in exercising its powers, act proportionately and also provides reasons for its decisions. In case a law is dated, uncertain or vague, the Commission approaches the case in a similar manner as they think the courts would. The decisions of the Charity Commission can be appealed to the First-tier Tribunal (Charity) and also some of its decisions can be openly challenged in the HighCourt. The Charity Commission in England & Wales aims to make certain that the Register of charities is correct and up-to-date.Its data is also used by many other charities and research organisations, and public bodies to derive analysis about the charity sector in England and Wales. For reasons of responsibility and simplicity, the Commission requires charities to provide key public information, at the appropriate time. Users can search for registered charities on the online portal and with their key information. It also highlights on the charities Register, the charities which fail to act in accordance with basic information requirements - these include filing annual returns and accounts on time, charities with qualified accounts, and charities that are subject to a legal investigation. Depending on the size of a charity, is it mandatory to register a charity with the commission. 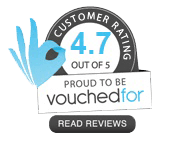 For charities registered in England or Wales, it is a must to send their annual returns. This annual return is different from charity tax return. If your income is under £10,000 Sending an annual return is not required if your charity's income is under £10,000. However, you must keep your details updated like income, expenditure, trustees and contact details. It is important to keep all your charity details up-to-date. In case of any changes to details, it is possible to update details online with the Charity Commission. These changes might also be required to be reportedto HMRC and possibly Companies House. You must wait 30 days after you’ve told HMRC about a change before making a claim, for example for Gift Aid. You can contact the Charity Commission if you have a problem using the service. Tell HMRC about any change to your charity by completing form ‘ChV1 – HMRC Charities change of details’. 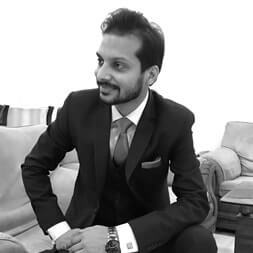 Want to set up a charity in UK? You need to follow 6 steps in order to setting up a charity. First step is to finding trustees for charity you are going to set up. You usually need no less than 3 trustees in order to proceed. Ensure the charity has ‘charitable purposes for the public benefit’. Pick a name for your charity. Work out onthe structure for your charity. You can register as a charity if your annual income is over £5,000 or if you set up a charitable incorporated organisation (CIO). Legal requirement: If you are closing your charity, there are regulations as per which you must inform the Charity Commission, and the charity commission must remove it from the register of charities. 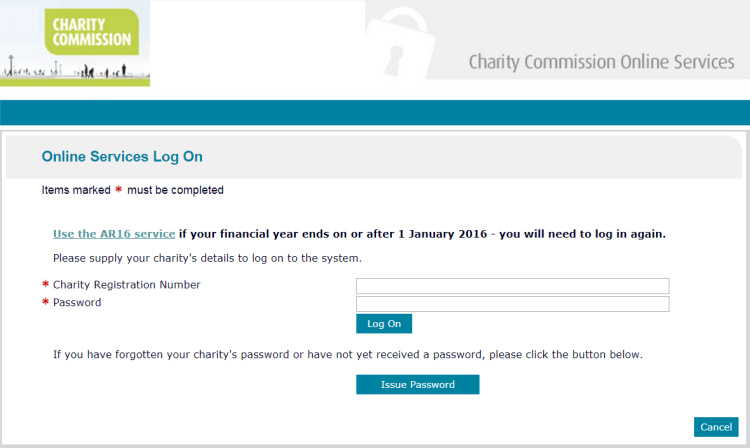 Having trouble logging into charity commission website? Forgot a password or need to get a new one? Now, continue your charity's annual return or registration application, our guide will help youget a new or replacement password. Enter your charity number and password when prompted. Select 'Continue an application to register a charity' when prompted. Enter your charity number to email your password to your charity’s main contact.